Looking for a first time home buyer mortgage? Search no further. First time buyers are one of our favorite client types. From easy pre-approvals to low down payments and great rates, Ross Taylor & Associates will take care of you through your home buying process. Very few first time buyers pay for their home outright, they typically need loan financing to make that purchase. Once you save up the down payment (no less than five percent of the purchase price) you will borrow the rest with a mortgage. Essentially, a mortgage is a loan used specifically for real estate transactions in which the property is the collateral for the loan. Because mortgages entail a large amount of money and are backed by a physical asset, they allow most people to borrow money at a relatively low interest rate and pay it off over a specific term. When breaking your mortgage contract early, usually because of a refinance or the sale of your home, you will unfortunately have to pay your lender a penalty called a prepayment penalty. There is no standard way to calculate prepayment penalties in the mortgage industry, so it is very important to be informed up front. If you score a dream job on the opposite side of Canada, realize you over-purchased for your budget or simply want to shop around for a better rate mid-contract, it is a good thing to know what you will be charged for exiting your mortgage contract early. Get pre-approved long before you actually think you might want to buy a house. Start talking to your preferred lender or mortgage broker/agent early in the process. Pre-approved means you’re conditionally approved for a mortgage – up to a certain limit – in advance of actually buying a house. As part of the pre-approval process, most lenders will want to do a hard inquiry of your credit score. An experienced mortgage professional can review your personal copy of your credit report, together with all the documents a lender is going to ask for, and will be able to offer a very strong opinion on what you will qualify for. Of course, you want a mortgage with the most competitive rate, but there are other important considerations which should go into your mortgage selection process besides the interest rate. 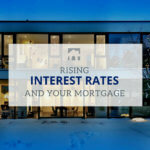 Understanding fixed versus variable rates, as well as some of the factors that can influence a rate, like your credit history or your income to name only two. In the end, it is not simply a matter of making the technically “best financial decision”, it is also key that you end up with a product you are comfortable with, and that is sustainable should rate fluctuations occur during your term. The Government of Canada has programs in place to help you buy a home. In addition to various federal and provincial tax credits, there are even municipal first-time homebuyer grants available in some cities. Naturally, there are conditions and qualifying factors, but taking the time to research and apply for incentives that could put dollars back into your pocket is well worth it. Every mortgage in Canada with a down payment of less than twenty percent is subject to mortgage default insurance, sometimes referred to as high-ratio mortgage insurance. This insurance doesn’t protect you – it protects the lender (your financial institution). The government promotes this “default insurance” to prevent a sudden surge in home foreclosures from destroying the Canadian economy. There are many terms specific to mortgage financing that you may never have needed before. This A-Z homebuyers glossary will give you the confidence to negotiate all aspects of the purchase process. Many first time buyers focus so much on the down payment, that not enough consideration is given to the multiple one time closing costs which you can expect to pay on the day you collect the keys from your lawyer. These costs can certainly add up, and while the implication for your budget is a one-time occurrence, you want to be fully financially prepared at the offset of your home ownership journey. Knowing where to start, and all the steps in between can be mind-boggling. And since this may be one of your largest life-time purchases, it can get pretty stressful. These seven distilled steps to buying a home help put some simplified structure around the progression from pre-approval through to closing day. No one wants to find surprises in their credit history when it is time to apply for a mortgage. If the clock is ticking on a conditional offer to purchase, it can be very stressful trying to clear up errors at the last minute, and it can typically take up to a few weeks to resolve. The clear solution is to front-load your credit history review in tandem with your pre-approval process. It is never (ever) better, not to know! To pay for your new home, you will put up a portion of the money, and your mortgage lender will make up the balance of the purchase price. The minimum required down payment is five percent of the purchase price, and if your new home costs between $500,000 and $1,000,000 the requirement is ten percent. Creative solutions also exist for tricky housing markets. A thorough review your finances with a mortgage specialist will assist you in assessing the best course of action. Explore this carefully curated list of experts to educate and inform yourself around every aspect of the home buying process. This intel-rich resource of ASKROSS recommended industry professionals will guide you on your journey to buying your first home with confidence. The complexity of home buying is intimidating, to say the least. You are not expected, and shouldn’t try to do it all! In order to navigate the process from start to finish, you will need the skills and insights of industry professionals. The powerful combo of Realtor, Mortgage Broker and Real Estate Lawyer will position you for smooth transitioning through the multiple steps involved in buying a home. And, if things do get a little bumpy along the way, these are the three people you want on your team. It pays, not just financially, but emotionally, to know what can go wrong when you are at the offset of purchasing a home. Often there are ways to correct errors before they affect your mortgage viability, and if not, ASKROSS could provide valuable solutions and even alternative lending options. There is no one-size-fits-all mortgage. Every buyer is different and comes with their own dreams, goals and unique circumstances. First, you must ascertain what type of mortgage you need, and what kind of mortgage client you are. Only then, can you select the best rate possible. A reputable mortgage specialist does not believe the number one factor is the interest rate and will guide you towards selecting the right mortgage for you. Thank you for keeping us informed every step of the way. We appreciate your patience in explaining every detail of the transaction and educating us to ensure future financial stability and success. You make it a very positive experience and we would not trust anyone else with all our future financial needs. P.S. And we will not hesitate to ASK ROSS. Ross was helpful getting us our first mortgage. We had unique employment terms which made it harder to get a mortgage through a bank. He got us approved through several different lenders and found us a great rate! I would highly recommend doing business with Ross! I thank you for everything. You’ve been awesome….through my first home…a big step in the long journey of life! I will refer you to people as they come along for work!! We were lucky enough to be referred to Ross. Ross helped us with our first mortgage. If you need a dedicated professional mortgage broker, who will explain ALL details, nuances and direct you to the right decision – that is Ross (and his GREAT team). And with his personality, I am sure, he will become not only your agent/broker, but, a friend as well. THANK YOU Ross. Why choose us for your first-time mortgage?